The Vietnam National University-Hanoi is aiming to provide a quality workforce for the fourth industrial age. The Vietnam National University-Hanoi will accept admissions based on SAT results in the new school year, making it the first university in the country to recognize the American assessment test. The university said on Thursday that students applying to the school this year will be able to submit their Scholastic Assessment Test (SAT) results for the first time, besides the usual high school graduation results, tests based on their majors and A-Levels approved by Cambridge International Examinations. The SAT is a standardized test introduced in 1926 and widely used for college admissions in the U.S., and assesses reading, writing and math skills. Most departments at the Hanoi school will accept SAT results to assess English competency, it said. The university, one of the biggest in Vietnam, plans to enroll more than 8,500 students this year, and is set to open new courses on space technology, robotics, German and school administration. Dr Nguyen Dinh Duc, head of the academic department at the university, told Dan Tri news website that his school is developing new training programs to provide a quality workforce for the fourth industrial revolution. Vietnam National University-Hanoi is currently ranked 139th in the QS Asia University Rankings compiled by a U.K.-based company specializing in education and overseas studies. The top 400 also includes Vietnam National University-Ho Chi Minh City, Hanoi University of Science and Technology, Can Tho University and Hue University. 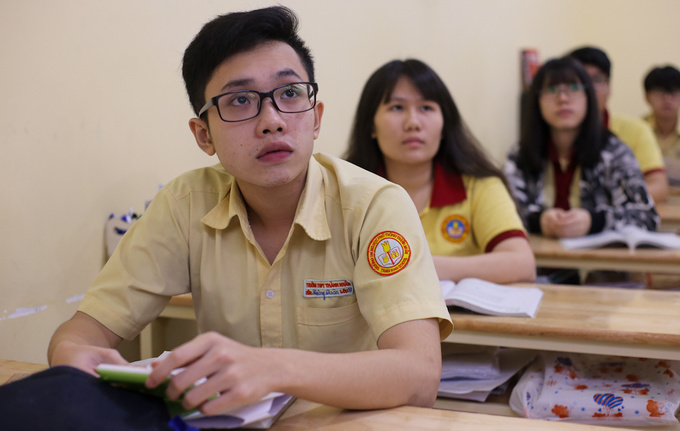 The Hanoi school came out on top of a list of 49 Vietnamese schools based on scientific research, education quality, and infrastructure and management in the country’s first university ranking published by a group of independent experts last September.